Very close (directly across the street) from Frankfurt's Main Station. Super easy access to the Airport. 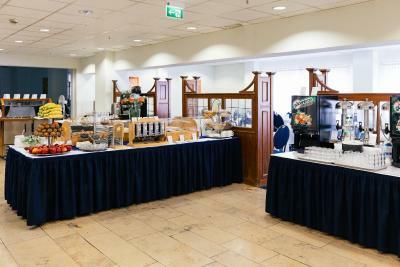 Tea, mineral water, and cake at the lobby area are all free. What really surprises me is that minibar in hotel room is also free!! And they are filled up every day too. Good variety of breakfast from cold cuts to eastern style hot breakfast to start a day. This is really close to the train station, but NOT loud-- we got a great night's sleep before our early morning train. And we found a nice restaurant nearby. Even with kids I felt safe in the area. You just have to cross the road from the central station and you're in the lobby. Easy access to wherever you need to go. Cabs are always lined up at the curb outside. Breakfast is from 5 am, which is handy when you have to catch an early train. Cannot beat the location you are basically sleeping in the train station. This, in turn, means a bit of background noise of trains coming and going but not disturbing, at least for me. Free use of the mini bar is a very nice gesture and in my 16 years of travel the very first hotel to offer such a thing. Good mattress, lovely view of Frankfurt night sky. Very close to the train station, clean, and polite staff. 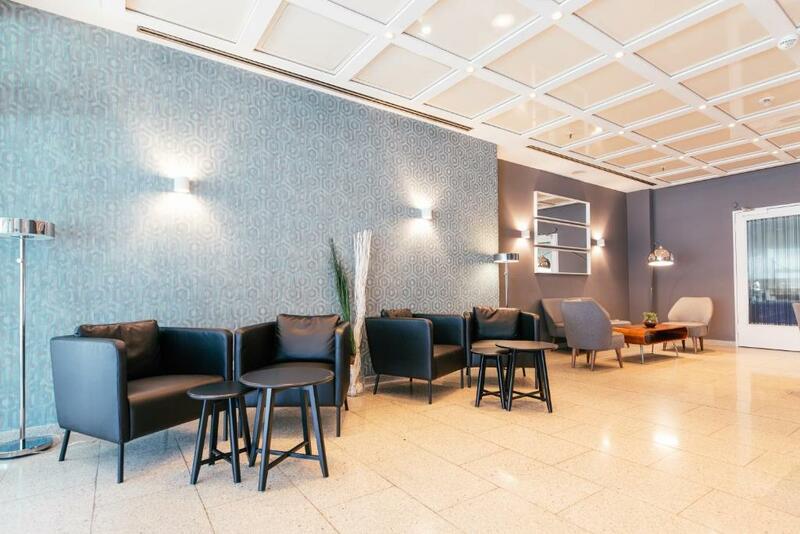 Hotel Excelsior - Central Station This rating is a reflection of how the property compares to the industry standard when it comes to price, facilities and services available. It's based on a self-evaluation by the property. Use this rating to help choose your stay! 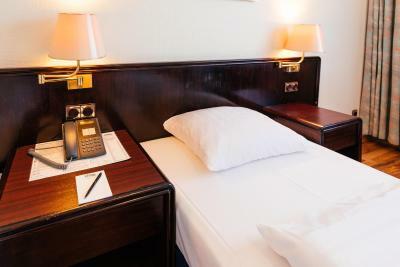 One of our top picks in Frankfurt.Hotel Excelsior offers modern rooms with free mini-bar drinks and free WiFi. 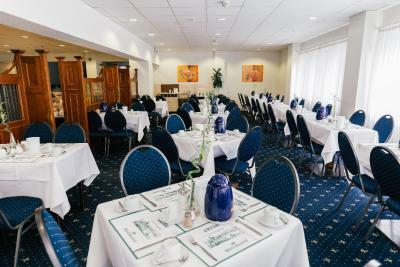 It is just steps from Frankfurt Central Station, and a 5-minute underground ride from Frankfurt Trade Fair. 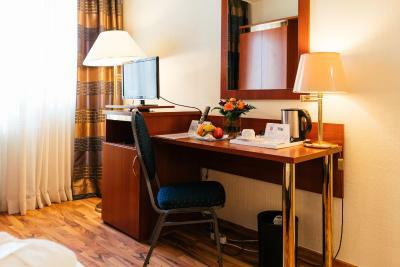 All rooms at the Excelsior include satellite TV channels, soundproofed windows and daily newspapers. 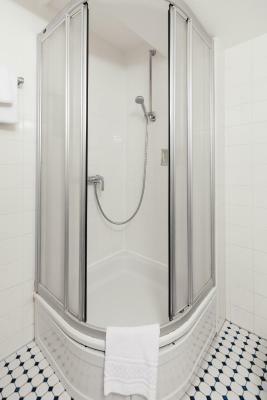 Guests enjoy free local telephone calls and the free mini-bar is refilled every day. 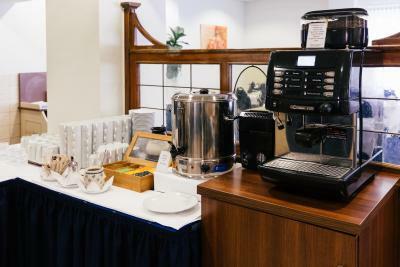 Complimentary coffee, tea and mineral water, as well as fruits and cakes are also available during the day. 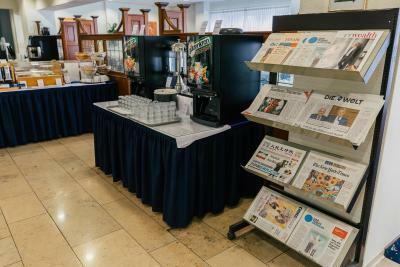 Guests also enjoy complimentary local and international newspapers. Trams, busses, underground trains and S-Bahn trains are within a 2-minute walk. 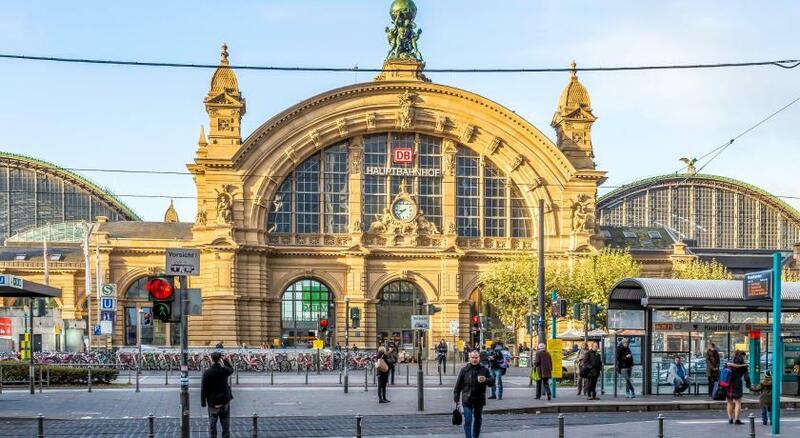 Frankfurt Airport is a 15-minute train journey away. Gutleutviertel is a great choice for travelers interested in convenient public transportation, museums and walking. 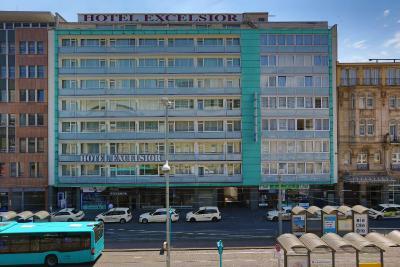 When would you like to stay at Hotel Excelsior - Central Station? 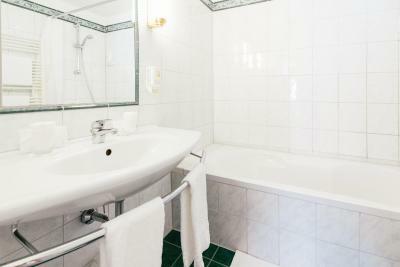 Classically furnished room with a private bathroom. Please note that this room category has no capacity for extra beds. Children under 13 years can stay free of charge in one of the existing beds. 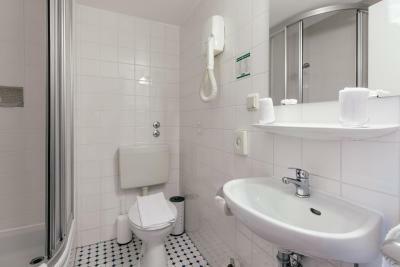 Classically furnished room with a private bathroom. 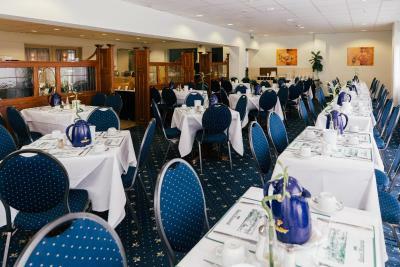 Extras include fresh fruit, hot drinks facilities, free Sky Sports TV and a welcome drink. Please note that this room category has no capacity for extra beds. Children under 13 years can stay free of charge in one of the existing beds. 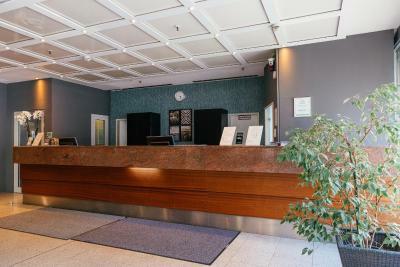 Welcome to our modern 3-star city hotel in the financial metropolis of Frankfurt am Main. 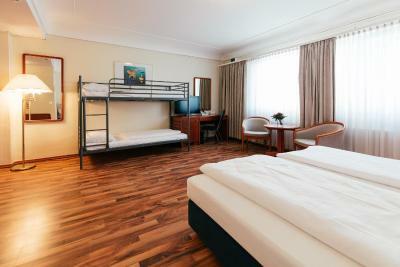 Its central location close to Frankfurt’s main railway station and well-equipped rooms offer excellent value for money. 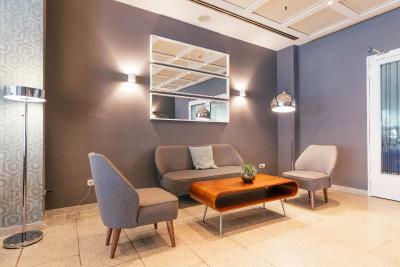 House Rules Hotel Excelsior - Central Station takes special requests – add in the next step! Hotel Excelsior - Central Station accepts these cards and reserves the right to temporarily hold an amount prior to arrival. 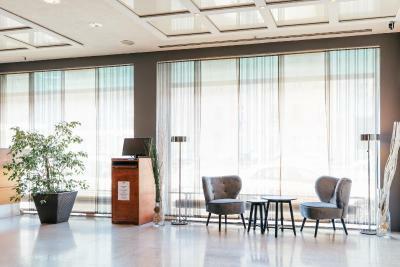 Guests arriving with children are kindly asked to inform the property in advance about their age and to read the children and beds policy. The location was great. Just next to the Frankfurt Central station. So convenient. No taxi needed. 2 minutes walk. It is in the city center. The hotel provides value for money. Quiet a few numbers of beggers in the area. Near to the main station. A lot of diners nearby. Lift was too slow. Bed moved and made noise which was little inconvenient for sleeping. Also, there was broken tile in the bathroom. 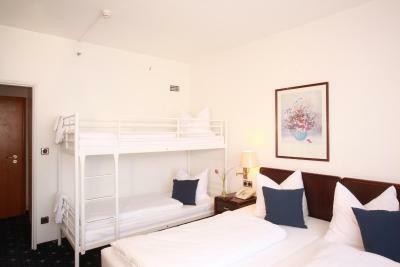 Location was close to the Frankfurt main station. Breakfast was good and had a mini bar in the room. The door couldn’t be locked from inside. The smell of the room after I just entered was not so good. The staff was really nice. Location is perfect too. The hotel is old and in a somewhat run down area of town. 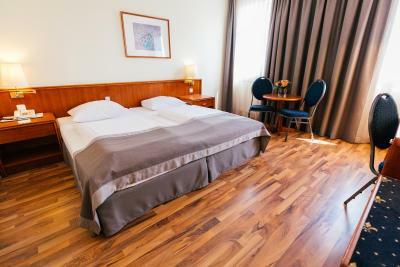 The staff was friendly and the room was small but clean and sufficient. The breakfast also exceeded my expectation. Elevators are not enough for the hotel guests. Excellent location! Free minibar! Breakfast included. 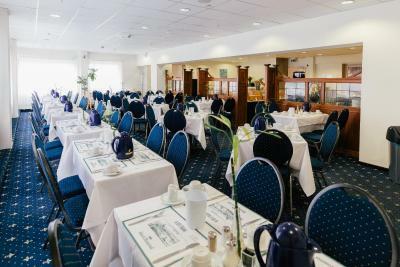 Location and very fair price. Clean and comfy.